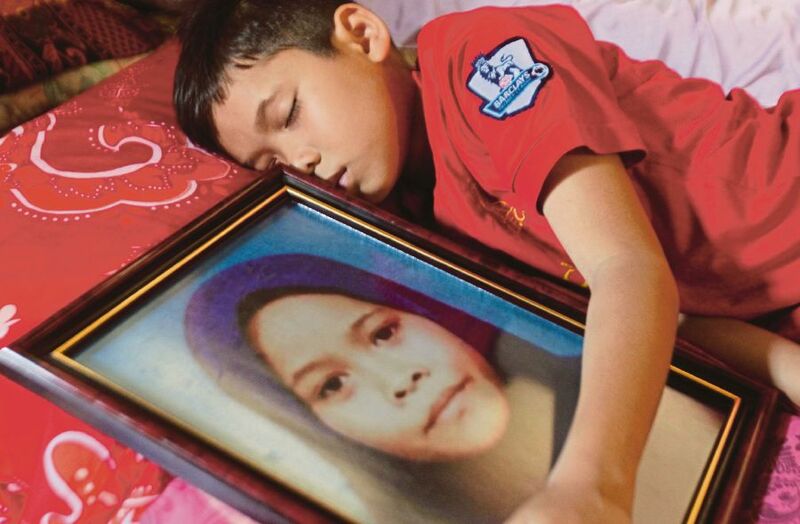 Siti Masitah’s brutal murder must jolt us into action regarding the plight of stateless children. THEY are called by several names — invisible children, hidden children, stateless children, undocumented children, and lost children. Their existence today makes a mockery of the United Nations Convention on the Rights of the Child 1989 (CRC), which stipulates that every child has a right to a name, a nationality, and a right to education. Article 7(1) of CRC states that “The child shall be registered immediately after birth and shall have the right from birth to a name, the right to acquire a nationality …” while Article 28(1) states that “States Parties recognise the right of the child to education…”. The Unicef portal revealed that Malaysia had ratified the Convention in 1995 but had made “reservations” to some of its provisions, including Article 7 and Article 28(1). What this means is that Malaysia is not bound to recognise the child’s right to name and nationality as well as his right to education. Article 12 of our Federal Constitution guarantees “the rights in respect of education” but they are available only to Malaysian citizens. Siti Masitah Ibrahim, 11, who went missing on Jan 30, was a stateless child. She was a stateless person because her Cambodian mother has no identification document or permanent residency card. When her mother reported her missing, the Nur Alert system was not activated. “Nur” is the acronym for “National Urgent Response”. Pekan police chief Superintendent Amran Sidek explained that the system was not activated because Masitah’s parents were foreigners. Although they had settled down in Pekan since the 1980s, they do not have any identification documents. Deputy Women, Family and Community Development Minister Hannah Yeoh clarified that the Nur Alert system is applicable to all children under 12 reported missing, regardless of nationality and regardless of documentation. Assistant Commissioner Choo Lily (of the Federal Sexual, Women and Children’s Investigation Division) said on the day the police received the report from the child’s parents, the Nur Alert should have been blasted out through the system with the child’s brief description and a latest photograph. Masitah’s body was discovered by villagers in an oil palm plantation in Kampung Tanjung Medang Hilir, Pekan, on Sunday. Pahang Criminal Investigation Department chief Datuk Othman Nanyan later told reporters that police had detained a Cambodian on Jan 31, the day after the girl had disappeared. At first, the suspect (who has no identification documents) did not admit his involvement in Masitah’s disappearance but upon further questioning, he admitted it. He is now under remand until Feb 17 under Section 302 of the Penal Code. On Feb 12, Deputy Inspector-General of Police Tan Sri Noor Rashid Ibrahim told the media that after this recent incident, police will review the procedure on missing persons and ensure that reports of such incidents were not taken lightly. An Aljazeera report in 2016 stated there were at least 50,000 undocumented children in Sabah. The Asia Foundation described these “hidden children” as among the country’s most vulnerable. They are offspring of migrant workers from the Philippines, Indonesia, or the Bajau Laut nomadic people. Their families have lived in Malaysia for generations, but their births were not registered by their parents because of the fear of arrest. In November 2016, former home minister Datuk Seri Dr Ahmad Zahid Hamidi said there were more than 290,000 stateless children in Malaysia. Without any official status, they cannot travel, attend government schools or gain access to the public health system. Without documentation, they risk detention and face difficulty in getting employment. Last November, Education Minister Dr Maszlee Malik told the media that undocumented children can be admitted to national schools as long as one of their parents is a Malaysian citizen. This is part of the government’s new “Undocumented Children Can Enter Schools 2019” initiative. Even if Siti Masitah was still alive today, this new initiative would mean nothing to her because both her parents are undocumented. According to UNHCR, there are at least 10 million stateless people around the world. Every 10 minutes, a stateless child is born somewhere in the world. In 2014, this UN body started its campaign to end statelessness by 2024. To achieve this goal, it has urged all states to implement the following measures as part of its Global Action Plan to End Statelessness — allow children to gain nationality of the country in which they are born; reform laws that prevent mothers from passing their nationality to their children on an equal basis as fathers; eliminate laws and practices that deny nationality because of their ethnicity, race or religion; and ensure universal birth registration to prevent statelessness. Since 2011, more than 27,000 stateless people have acquired Thai nationality. In Bangladesh, a 2008 High Court ruling has enabled 300,000 stateless people to become citizens. In Kyrgyzstan, more than 65,000 former Soviet citizens have acquired Kyrgyz citizenship since 2009. Will Masitah’s murder galvanise Malaysia to do more to protect stateless children?